Such deeds again result in rebirth. Young embodiments of the Divine! The grand mansion of Hindu thought has been raised on the four walls of karma, janma, dharma and Brahman (action, birth, righteous action, and Supreme Self or God). These four are interdependent. No one can escape the consequences of one's action, whether good or bad. No action goes in vain. Karma (action) is the primary cause of one's birth. It has been well said that "The body indeed, is the basis for the pursuit of dharma" (Shareeramaadhyam khaIu dharma saadhanam). It is by the pursuit of dharma that Brahman is realized. 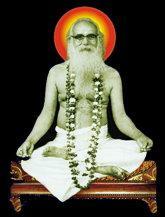 The Geetha has declared that whenever dharma declines the advent of the Avathaar (Divine incarnation) occurs. This implies that the object of human existence is to uphold dharma. As creation is a projection of the Divine Will the aim of every human being should be to live in harmony with that Will. One's life should be dedicated not for promoting one's selfish interests or to serve the interests of other fellow-beings but in the service of the Divine. Whatever is done to anyone, if it is done as an offering to the Divine, it will reach the Divine. Man should consecrate every action by regarding it as an offering to the Divine. From the moment of issuing from the mother's womb, one is involved in action. This natural state is common to all and may be described as Shuudhrathwam (the state of the Shuudhra, that is, one who is not subject to any regimen). After one receives the Gaayathree initiation, he is born again and becomes a Dwija (the twice-born). The Gaayathree is described as "Chhandhasaam Maathah'--the mother of all the Vedas (ancient sacred scriptures). One meaning of Gaayathree is that it is a manthra (sacred formula) which protects or fosters the "Gayaas" or jeevis (individual beings). You must note that today you have all got a second birth by receiving the Gaayathree manthra (Vedic prayer to illuminate the intelligence). By observing the disciplines of the Brahmachaari (celibate) stage, you will qualify yourselves for the study of the Vedas. When one begins to study the Vedas he is known as "Vipra" (Braahmana). This is a third birth, as it were. At this stage, by the study and understanding of the Vedas and living up to their precepts, one gets the opportunity to understand Brahman (Supreme Being). 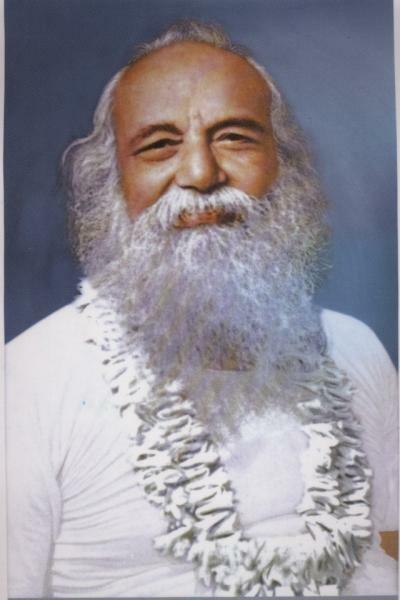 Once the Brahman principle is understood, one merges in Brahman. 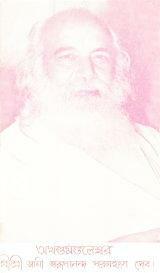 It is only when there is awareness of Brahman can one claim to be a real Brahman. It is not birth alone, but the realization of Brahman, which confers real Braahmanathwa (Braahmana-hood) on a person. The Gaayathree manthra has to be recited three times a day--in the morning at sunrise, at noon, and at sunset. These are called "Sandhyaa Kaa!am"--the time of coming together of night and day, of morning and evening, and of day and night. Time, like man, has three qualities: Sathwa, Rajas and Thamas (poised, passion and inertia). The day is divided into three parts. The four hours between 4 and 8 a.m. in the morning and between 4 p.m. and 8 p.m. in the evening have the Sathwa (equanimous) quality. The eight hours between 8 a.m. and 4 p.m. are Raajasik (Passionate). The eight hours between 8 p.m. and 4 a.m., which are mainly used, for sleep, are Thaamasik (inaction). The eight hours of the day (from 8 a.m. to 4 p.m.) are employed by all beings, including animals and birds, in the discharge of their day to day duties and are regarded as Raajasik (active pursuit). When the four Saathwik hours of the morning (4 a.m. to 8 a.m.) are used for engaging oneself in good actions like worship, virtuous deeds, keeping good company, one is sure to raise, himself from the human to the Divine level. It is during the Saathwik period (from 4 a.m. to 8 a.m. and 4 p.m. to 8 p.m.) the Gaayathree manthra should be recited. This manthra is the embodiment of all deities. It is not related to any particular sect, caste or idol or institution. It is said to embody nine "colours": (1) Om (2) Bhuh (3) Bhuvah (4) Suvah (5) Thath (6) Savithur or powers (7) Varenyam (8) Bhargah (9) Dhevasya. "Dheemahi" is related to the meditative aspect. "Dhiyo-yo-nah prachodayaath" relates to the aspect of prayer. The manthra as a whole thus contains three aspects descriptive, meditational and prayer. On the basis of differences in behavior, the antahkarana (inner-psyche) has been accorded four names. When it is concerned with thoughts, it is called manas (mind). When it is restless and wavering it is called chiththa (consciousness). When it is concerned with enquiry and understanding, it is called buddhi (intellect). When it is associated with the sense of "mine" (possessiveness), it is called ahamkaara (egoism). Why are four different names and attributes given to one and the same entity (the Antahkarana)? The mind is pre-occupied with distinctions and differences. The buddhi is concerned with oneness and reveals the Unity that underlies the diversity. Ail our efforts must be directed towards discovering the Unity that underlies the diversity rather than seeking to divide the One into the many. The Gaayathree manthra (Vedic prayer to illuminate the intelligence) is a sacred manthra, which demonstrates the unity that underlies manifoldness in creation. It is through the recognition of this unity that we can understand the multiplicity. Clay is one and the same thing, though pots of different shapes and sizes can be made from it. Gold is one, though gold ornaments can be multifarious. The Aathma (Divine Self) is one, though the embodied forms in which it resides may be many. Whatever the color of the cow, the milk is white always. There is no object in the world, which does not have a form and a name. The Cosmos is made up of things with forms and names. While the forms are subject to constant change, the names remain unchanged. The form may change and even completely disappear but the name remains. Once we know the name, we can recognize what or whom it represents. In a large gathering, it will not be easy to trace a person merely from the description of his features. But when his name is called, he immediately responds and can be identified. Likewise, through the name of the Lord, the form of the Lord can be visualized. Gaayathree is described as having five faces. The first is "Om". The second is "Bhurbhuvassuvah". The third is: "Thathsavithur Varenyam". The fourth is "Bhargo Dhevasya Dheemahi". The fifth is: "Dhiyo-yo nah Prachodhayaath". Gaayathree represents in these five faces the five Praanas (life forces). Gaayathree is the protector of the five Praanas in man. Gaayantham thraayathe ithi Gaayathree - "Because it protects the one who recites it, it is called Gaayathree." When Gaayathree acts as protector of the life-forces, she is known as Saavithree. Saavithree is known in the puraanic story as the devoted wife who brought back to life her husband, Sathyavaan. Saavithree is the presiding deity of the five praanas. She protects those who lead a life of Truth. This is the inner meaning. When one's intelligence and intuition are developed by the recitation of the manthra, the activating deity is Gaayathree. When the life-forces are protected, the guardian deity is called Saavithree. When one's speech is protected, the deity is called Saraswathee. Because of the protective roles of Saavithree, Saraswathee and Gaayathree, in relation to life, speech and the intellect, Gaayathree is described as "Sarvadhevathaa-swaruupini", the embodiment of all goddesses. It is essential to recite the Gaayathree manthra at least three times during morning, noon and evening. This will serve to reduce the effects of the wrong acts one does every day. It is like buying goods for cash, instead of getting them on credit. There is no accumulation of karm/c (result of action) debt, as each day's karma (action) is atoned for that day itself by reciting the Gaayathree Manthra. The plea that one cannot find time for reciting the Gaayathree thrice a day is specious and untenable. People waste so much of their time in worthless activities that they can easily find a few moments for reciting the Gaayathree when they wake up from bed and before they go to sleep, if only they have the will. The Gaayathree can be recited even when one is taking his bath. It will mean also offering ablutions to the goddess. At noon, if the Gaayathree is recited before taking one's meal, the food will get sanctified and become an offering to the deity. The Brahmachaaris (celibates/religious students) should realize the redemptive power of the Gaayathree manthra. Through the Brahmopadhesam (initiation into sacred knowledge), the young boys have had a second birth. It is only when they have achieved the purposes of this second birth will they be qualified to enter on the sacred third stage of "viprathvam" (Braahmana-hood), which leads to the realization of Brahman. 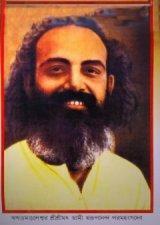 "One who is aware of Brahman, becomes one with Brahman" is the Vedic saying. To recognize the Brahman principle, one has to understand one's own true nature. There is a story to illustrate how one can see whether he is qualified to realize Brahman. An unmarried girl acquires the right to a half-share in a man's property after she is married to him and he ties the mangalasuuthra (the auspicious marriage thread) round her neck. It is this sacred thread that confers the fight on her. Likewise, one remains remote from God as long as one has not acquired the thread of "surrender to the Divine" (Sharanaagathi thathwa). The moment one wears the suuthra (thread) of Sharanaagathi (total surrender), one acquires the right to a half share in the energy and authority of the Divine. We must strive earnestly to pursue the path of submission to the Divine Will and offering everything to the Divine. The attitude of surrender will grow in us as we recite regularly the Gaayathree manthra. This is the reason why boys are initiated into the manthra at an early age. There is also another reason for this early initiation. Boys, who have been indolent or dull before getting the Brahmopadhesam have been able to develop their intelligence and be more diligent in their studies after they have received the Gaayathree manthra. This is a matter of proven experience. Like sunrise after the night, the Gaayathree manthra dispels the darkness of ignorance: "Dhiyo-yo-nah prachodayaath" The rays of the Gaayathree manthra illumine the mind and intelligence and promote knowledge, wisdom and discrimination. I bless the young vatus (boys who have been initiated) so that from today they recite the Gaayathree regularly, lead exemplary lives and grow into good, god-fearing, educated and enlightened citizens of Bhaarath. Young people should realize the connection between food and the state of one's mind. For much of the demoniac qualities prevalent among men today, the primary cause is the food they consume. One will develop good qualities if one takes Saathwik food, which is wholesome and moderate in quantity. It should not involve causing pain to others. And all that is eaten should be regarded as an offering to God. This is the inner significance of the Sandhayaa Vandhana manthras. When uttering the different names of Vishnu - Keshava, Naaraayana, etc.--one should bear in mind the meaning of each name. Naaraayana, for instance, means that He is the Lord of the Five Elements. If the name is recited, bearing in mind what it signifies, the full benefit of reciting the manthra will be got. The Gaayathree manthra is the royal road to Divinity. There is no fixed time or regulation for reciting it. Nevertheless, the young Brahmachaaris (celibates) would do well to recite it during the morning Sandhyaa and evening Sandhyaa (worship during dawn and twilight hours) to derive the greatest benefit. However because the Divine is beyond time and space, any time, any place is appropriate for repeating God's name. The Bhaagavatha declares: "Sarvadhaa, sarvathra, sarvakaaleshu Harichintanam'". "Contemplate on God always, at all places and at all times." You must learn to think of God in whatever you see whatever you do and whatever you touch. You must realize that you are playing temporary roles on the cosmic stage. You must get back to your true Divine Selves when the play is over. By regularly reciting the Gaayathree, you must purify your lives and be an example to the world in righteous living. This is my benediction for you. Today, Babamani's followers 101 visitors (130 hits) on this page!